After several years of restoring H1 headlights to a high standard it was a natural progression to add the restoration of original factory headlights to my services offerings. 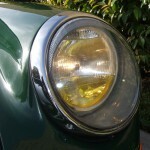 As you know, Porsche 911 SWB Porsches came with either U.S. sealed beam or European headlights. 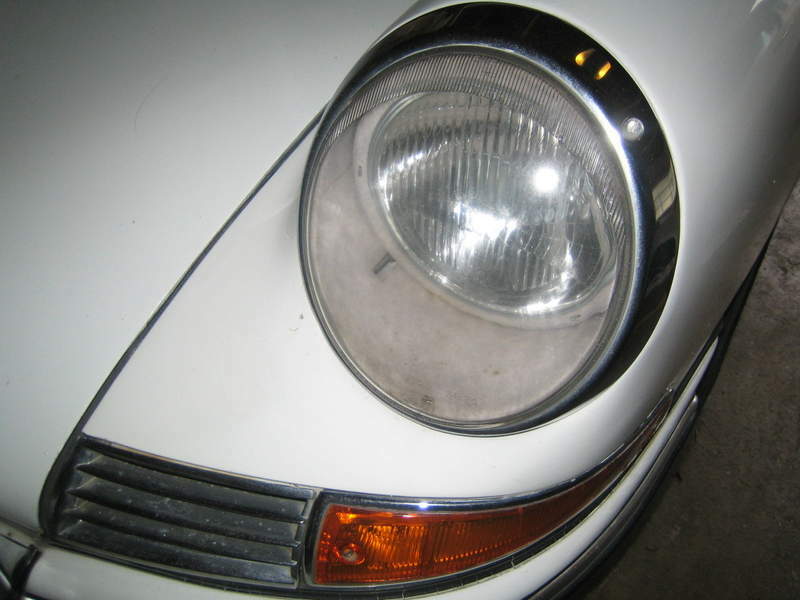 SWB European headlights had Bosch 4487 flat fluted asymmetric lenses and Bosch buckets with 3 small vent holes on the bottom. 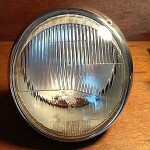 A chrome plated brass trim ring with three holes was fitted. One hole was for the fender mounting screw and the other two were for the adjustment screws. 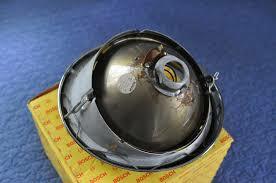 The screws were slotted through 1965 followed by Phillips head screws. 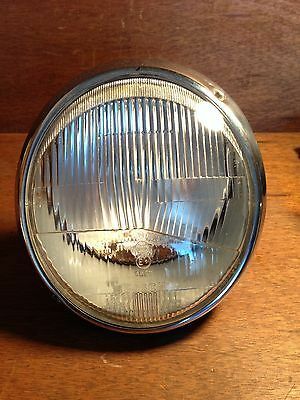 They used a large reflector (very similar to the reflector used in the H4 headlight assembly) with a deflector mounted over the bulb and a socket for a 4w city light. 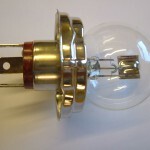 The 40/45W tungsten P45t bulb was mounted in a housing on the back of the reflector. 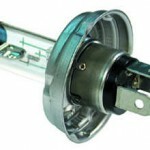 They offered superior lighting to the U.S. version but DOT regulations in the U.S prevented them from being used there. 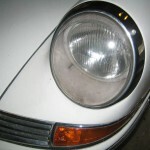 You will find information on restoring SWB European headlights HERE. 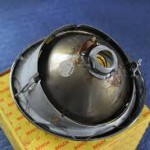 The U.S. lights used a sealed beam light that was set into the headlight bucket with a clear Hella SB19 lens on the front. 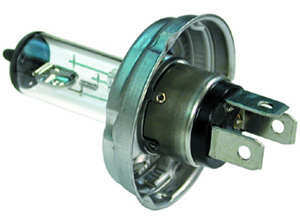 Over time it has become popular to use inserts in place of the sealed beam as they accommodate the use of higher power bulbs. 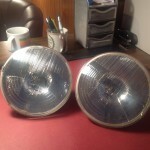 The first inserts enabled the use the same bulb, the 45/40w dual filament tungsten P45T, that was used in the European headlights. 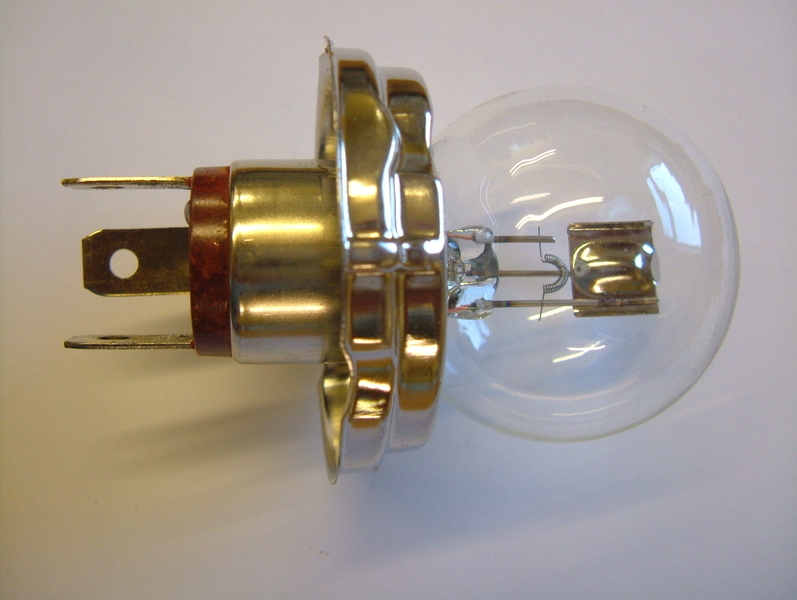 Later, after the halogen H4 was introduced in 1972, inserts were produced that would accommodate an H4 bulb, typically 60/55w, with the P45T base. 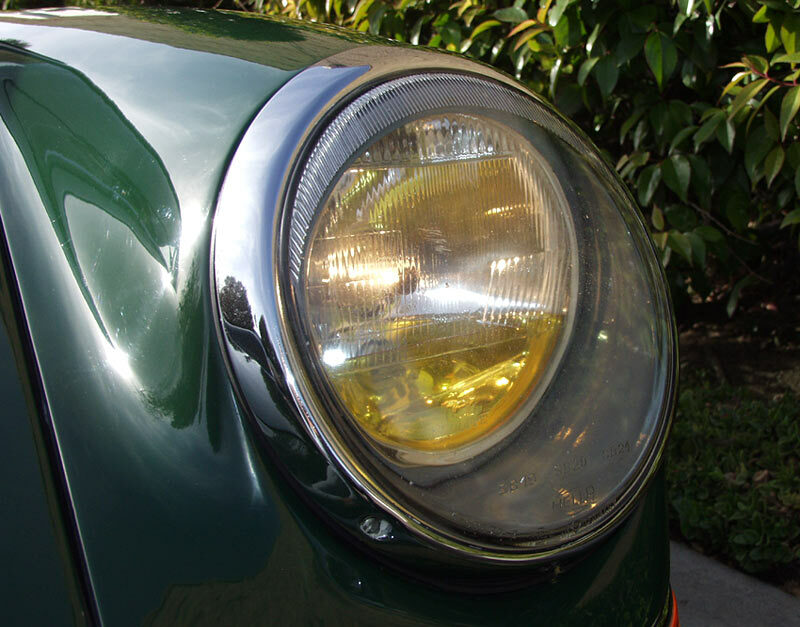 H4’s are not strictly correct for SWB cars as H4’s weren’t introduced until 1972, but they do offer much improved lighting over the original sealed beam and tungsten P45T. 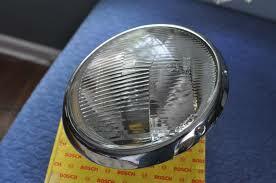 You will find information on restoring SWB U.S. headlights HERE. 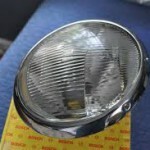 Euro headlight,, note housing for P45T bulb.